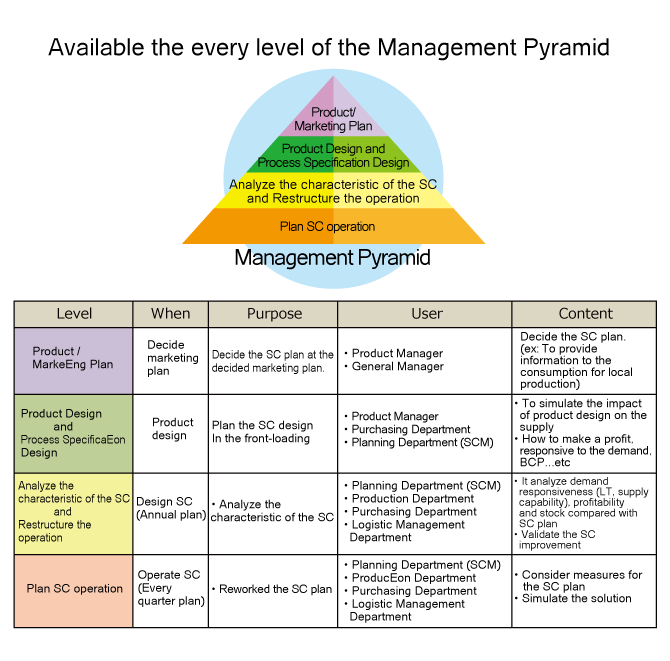 Product page Core Solution Co., LTD. In order to keep high performance, it's important to be consistent for every work. And focus on stronger competitiveness. ★3 Management theories to consistency for creation of value. (1)The theory for Products / Service Planning / Manufacturing. (2)The theory for Supply Chain Process. (3)The theory for Integrating (1) and (2). High performer has management features to integrate that “product features” and “supply chain”. It's not related the type of Industry. 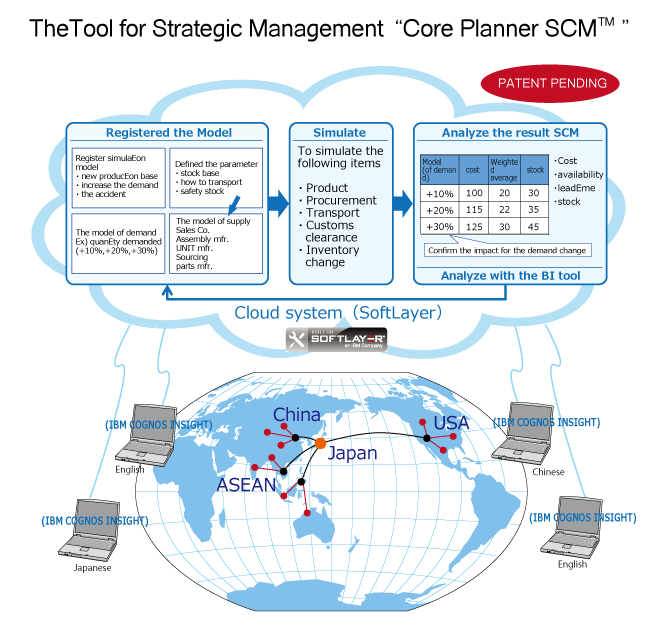 “Core Planner SCM” is the best tool to support the adaptation of the SCM. The tool is useful to evaluate the following things.